Pat Alexander practices primarily in the areas of public finance, mergers and acquisitions, real estate and franchising. Pat has more than 30 years of experience in all aspects of public finance, including tax-exempt and taxable debt financing transactions. 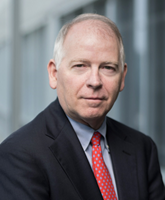 He serves as bond counsel to various public authorities and other entities, including Nashville Electric Service and the Metropolitan Development and Housing Agency.